Even though there's no spring-summer here in Indonesia, but who cares! Hahahaha. Anyway this eye makeup is contain the color blue because according to Vogue UK the only color to wear on your eyes this season is blue. But of course i mix it with another color to make it even fresh! The amazing thing is, i made this eye makeup reaaaaallyyy simple! Why? Because who got time to apply a complicated makeup on summer/spring. We don't want to look too much but yes we want to look fresh and pretty. It's actually really simple that it only contain two green eye shadow and blue eyeliner. 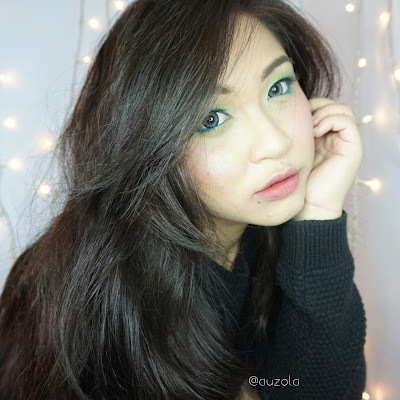 Actually you can even use only one green eye shadow. But for me, i have this hooded/monolid eyes that i need to create more depth on my crease, so i need two green eye shadow and one is darker than the other. Anyway, i don't have the face tutorial and only the eye makeup, because that's the highlight of this post hehe. 2. 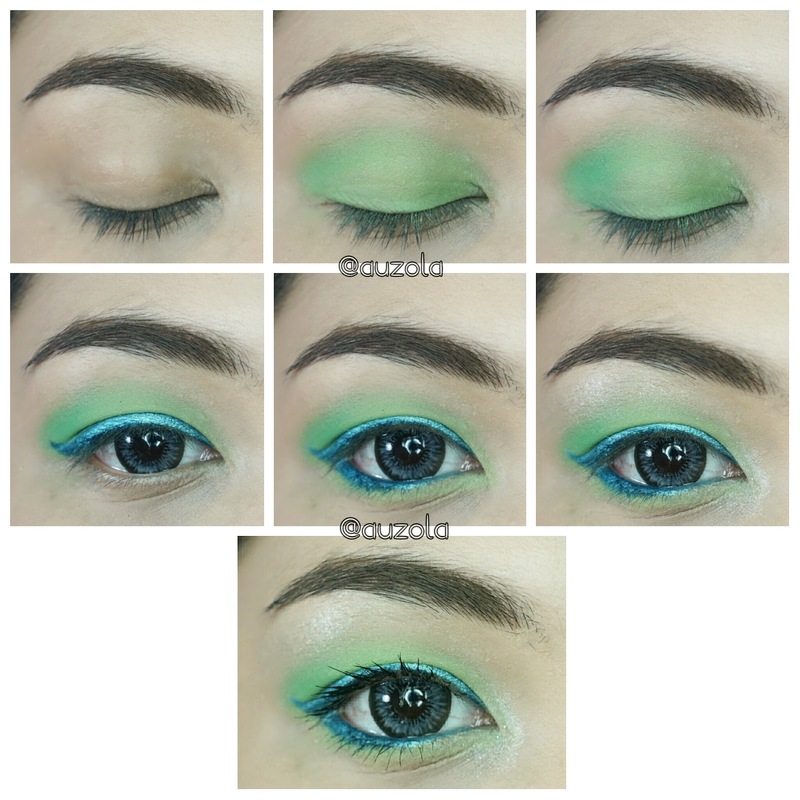 Add green eye shadow all over your eyelid and blend outward. 3. 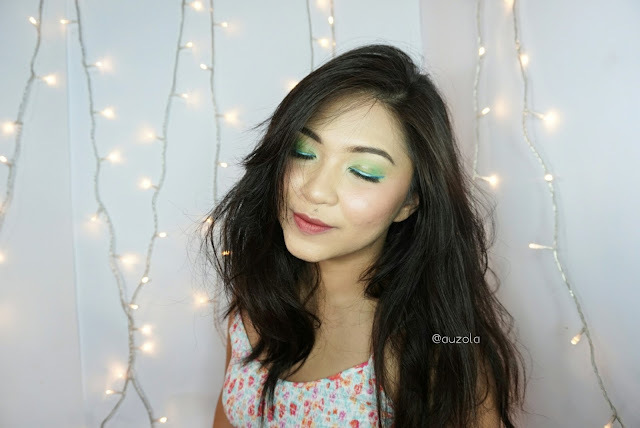 Add darker green eye shadow on your outer v and blend. 4. Apply light sparkly blue eyeliner. 5. 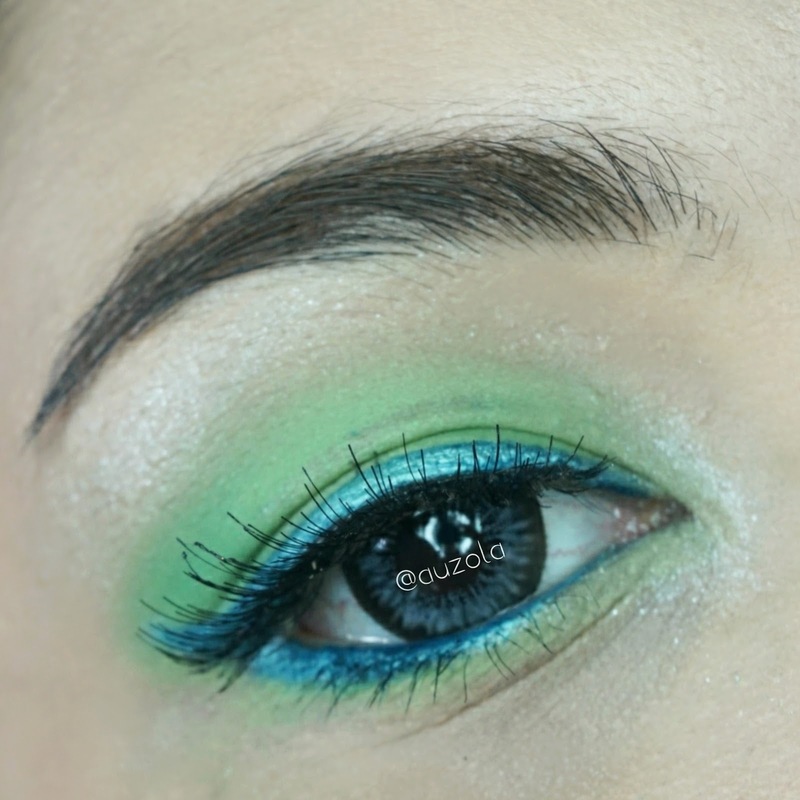 Also apply the blue eyeliner on your waterline and add a bit of green eye shadow below your lash line. 6. Add more spark on your inner corner and brow bone using shimmer silver/white eye shadow, but you can skip this part if you want less shimmer. 7. Apply mascara and add falsies if needed. That's it for now! I hope you enjoy my makeup tutorial this time! 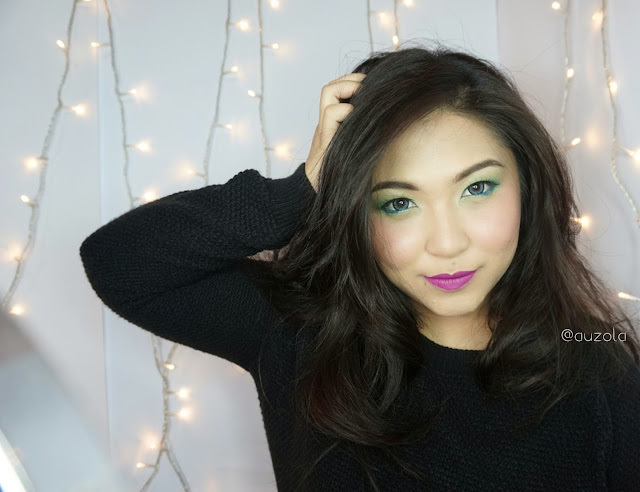 If you try this look don't forget to share it with me because i'd love to see your creation as well! See you guys for now!